Misprinted 7" label. Should be "Deco" not "Devo". 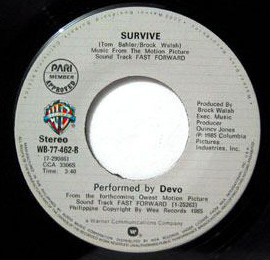 The song "Survive" was recorded by a band called Deco in 1985.